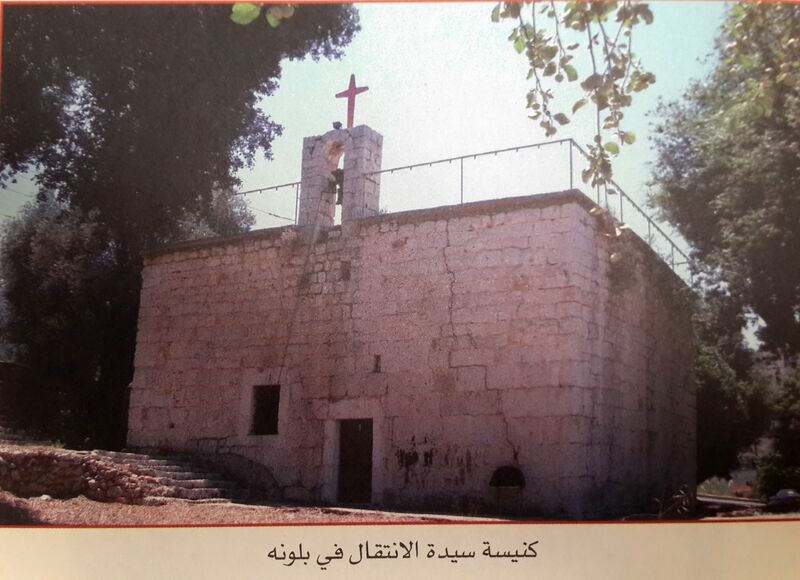 The Assumption of Mary Church was built in the 18th century by el Khazen Cheikhs and Ballouneh residents used to attend the church and share with el Khazens all religious ceremonies and masses up until the Maronite Church built the Mar Yaacoub Church in 1931. During the early part of the 20th century, the church was under the patronage of Cheikh Kerserwan Amine el Khazen (Who died in 1966). Nowadays, the houses of Cheikh Keserwan Khazen and Khaled Khazen el Khazen are handling all matters related to the church under the management of Cheikh Sami Khaled el Khazen.